Even though heat exhaustion and heat stroke are one of the most well-known complications of enduring a hot weather, not a lot of people are aware that these two problems are actually different from each other. Oftentimes, they are used interchangeably which is why there are a lot of people who apply inappropriate and ineffective medical interventions on patients who are suffering from either of these two conditions. Considering that Lethbridge experiences bouts of hot weather which can cause these conditions, residents should learn about the differences between these two problems. They should also take Lethbridge first aid classes in order to learn how to handle these two types of medical problems appropriately. What is the difference between heat stroke and exhaustion? Even though both conditions are caused by the same precursor which is being exposed to hot weather conditions, their physiology or the way that they affect the body is very different. Heat exhaustion is mainly caused by the decrease in the blood flow within the veins and arteries which in turn causes fluid and electrolyte deficit. On the other hand, heat stroke causes all of the systems in the body to overheat which makes it impossible for the body to cool down. This is why heat stroke is regarded as a medical condition that is far more severe than heat exhaustion. What is the danger of interchanging these two terms? Considering that heat stroke is more severe than heat exhaustion, applying the medical interventions that can only manage heat exhaustion to patients who are actually suffering from heat stroke is very lethal and can cause death within minutes. Since first aid rescuers are trained to call paramedics or 911 if a patient is suspected to be suffering from heat stroke, misdiagnosis can lead bystanders or untrained residents to ignore this very important step when it comes to helping others that are affected by this condition. 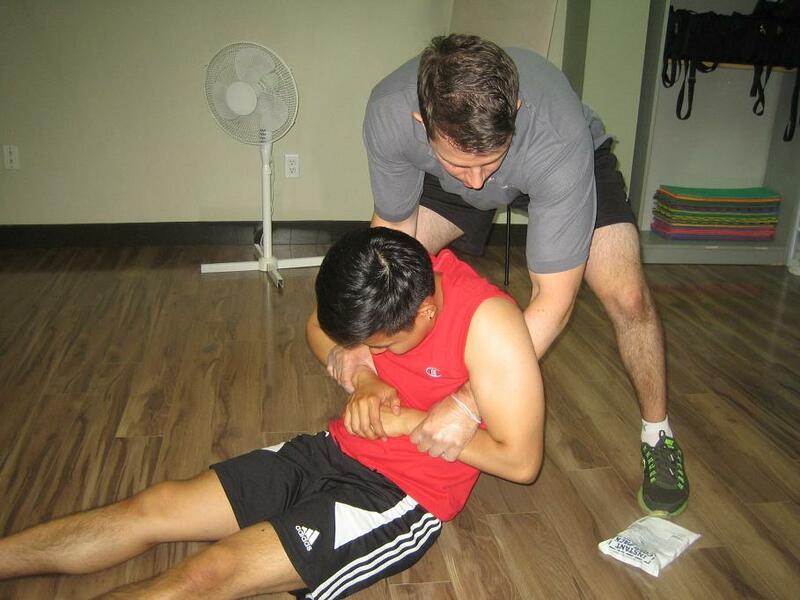 Why is Lethbridge first aid training important? By attending first aid classes, residents will learn how to differentiate the symptoms of heat stroke and heat exhaustion. This will lessen the likelihood of misdiagnosis which can save the life of the affected individual. Taking Lethbridge first aid classes will also teach residents about the first aid techniques that they should use on a patient while waiting for paramedics or help from other licensed medical professionals. This can greatly increase the survivability of patients who are suffering from heat stroke. Lethbridge First Aid: What is Heat Exhaustion? All lethbridgefirstaid.ca content is reviewed by a medical professional and / sourced to ensure as much factual accuracy as possible.